Sharing links to content from your blog to Twitter or Facebook is a straight forward way to promote your blog posts on social media. It always works, right? Well, with Instagram it is slightly different: Links in image captions on Instagram are not clickable. Since you cannot simply share links to posts in your Instagram updates, you need some more sophisticated tactics to achieve your goals and have to be careful to get everything right to see an impact from your Instagram efforts – and make sure that you are able to measure it, too. If it is so difficult to share your blog posts via Instagram and get traffic from it, why should you bother? 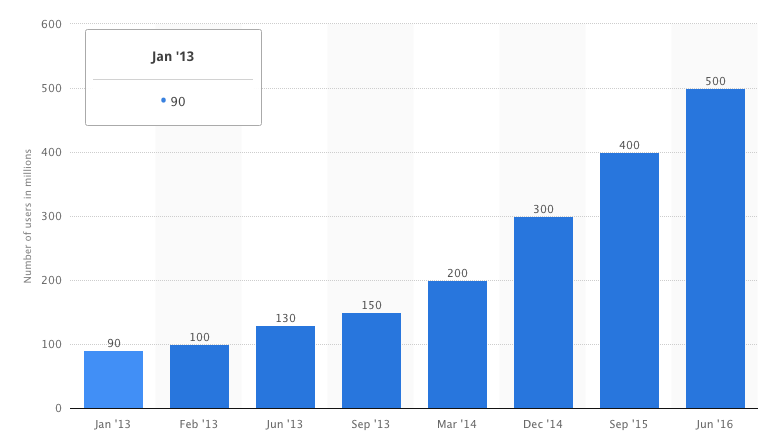 Simply because Instagram is growing fast and it is a very engaged network. It is easy to connect to people, get into conversations and build a following. And since blogging success is partly about connecting to people and building a network around your niche – Instagram is well worth your time. I have said it before for Twitter, it still holds for Instagram: Social media marketing success starts with the basics. And choosing a name for your Instagram account takes some considerations to do. The least you should think about is whether you take your own name or the name of the blog as an Instagram name. How personal is your blog, are you the only person running it? Does everybody know that you are your blog? Are you only using Instagram to promote your blog or could you be changing your career later? Do you want to market the blog or yourself? In some cases it makes sense to choose the name of the blog – in other cases, you rather want to go with your name. And sometimes you may even want to consider using two Instagram accounts. If you are running other social media profiles – make sure that your followers can easily recognize the accounts belonging together. You can not only choose an Instagram handle – you also have an account name. Sometimes, these may be the same. Or you could, for instance, go for your name as a business name and your blog as the Instagram handle – or the other way around. It all starts with the question: private or public. By default, your Instagram profile will be public and if you want to promote your blog with your Instagram you should keep it that way. Profile Picture: Every Instagram account has a profile pic – or avatar. For most business accounts this is the logo. For personal accounts you are free to choose an image – I recommend using a picture of yourself so that people see who you are and can recognize you. If you choose a picture, keep in mind that Instagram crops your photo to a circle. Your Bio: Your Instagram Bio is important if you want to use it for blogging success. The short bio needs to be informative – and at best show a little personality. You can include a call to action. The link: The link in the bio on Instagram is the only place where you can add a clickable link. That makes this link so important. For instance, you can use this link to get people to your latest blog post – and simply change the link when you have a new post. 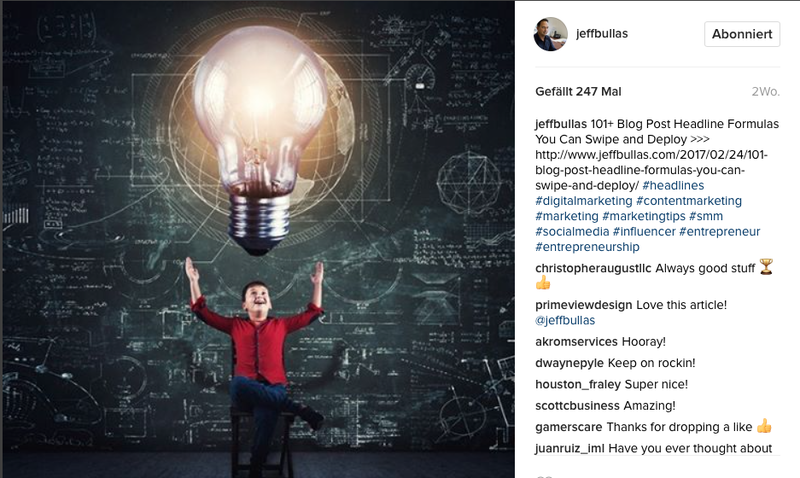 Other bloggers like Jeff Bullas use the link to offer a Freebie to turn Instagram followers into email subscribers. A ton of blogger do this: then they post images around the blog post and the capture teases the post and finishes with a call-to-action: Click the link in the bio. 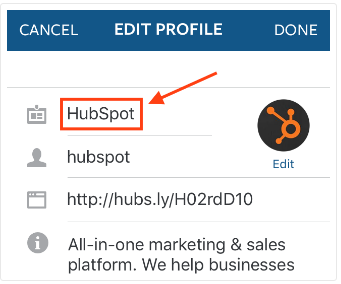 The clicks on this link will show up in your Google analytics as referrals from Instagram – but you cannot measure which Instagram update triggered the click. There is no metric that can separate the various Instagram updates as a cause to the traffic if all traffic comes via the same link. Other bloggers like Jeff Bullas use the link in the bio to offer a Freebie to turn Instagram followers into email subscribers. Enable Notifications: Instagram is an engaged network. Make sure you enable your notifications so that you can see when likes, comments on your images come in. You should engage with these and answer comments! Your images on Instagram have to be awesome. And they have to stand out from the masses. But do not be intimidated by that – Instagram helps you turn your mediocre shots you took with your mobile phone into something quite awesome. They provide you with the necessary tools to clip your image, use filters and more. Your images also need to tell a brand story. You need to be consistent with what you share: if your blog is about fashion your pictures should include a lot of fashion, outfits, shops and so on. If your blog is about gardening flowers in all colors, trees, flower beds and so on should be part of your Instagram feed. But Instagram for blog promotion is more than photos. To promote a blog you should also use branded images as you use in your blog posts. Do not use the images from your blog post that you created for Pinterest of Facebook. Most of the time they will not be in the right format. Use the right dimensions for graphics you want to use on Instagram. If you have a photo shoot, interview or some other form of images for a blog post, share some behind the scenes pictures. Once you published a blog, you don’t have to stick with one image: Make some shareable quotes as images. Think like Click-To-Tweet for Twitter and create images with the quote. Share them on Instagram. 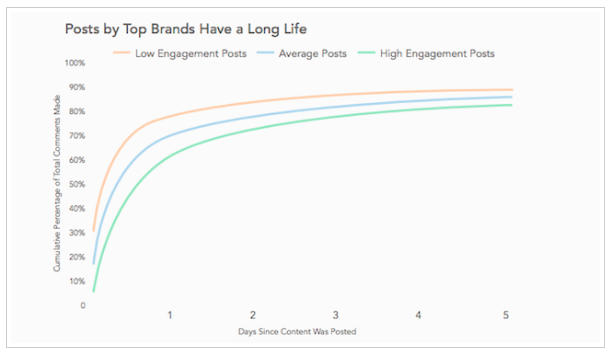 The visibility of and the engagement with an Instagram post decreases with time. Over 50% of comments are posted within 6 hours after publishing your post. When the ability of your post to engage decreases you need to post something new – or you will be invisible and forgotten. I already gave you some ideas on what you can post – now you should put that into action and post more often. 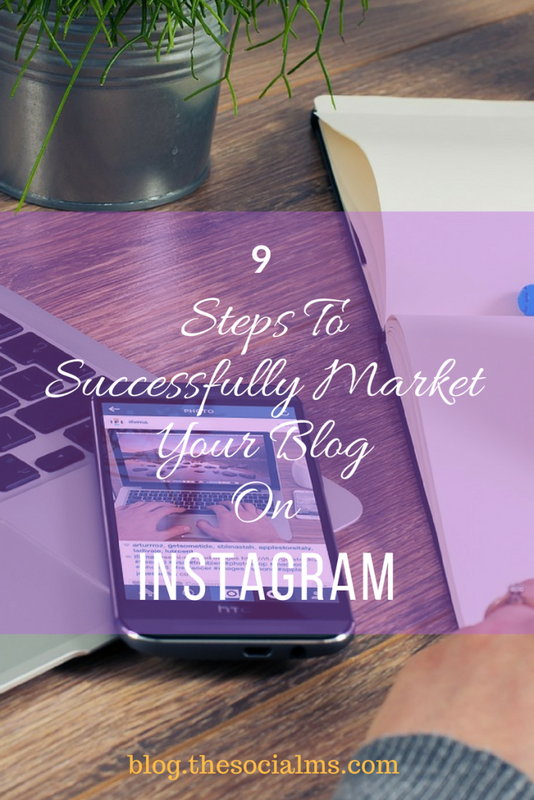 One key to growing an audience on Instagram is to post often. That means you need a picture or image every few hours. Since you probably don’t want to focus your mind on Instagram all day long, you should consider scheduling some posts. If you have a couple of images for the day, sit down for 10 minutes and create a post for each image for instance on Buffer. Buffer will then make sure that your posts go out at your set times. If you go for scheduling, simply keep in mind, that a tool can post for you at a given time, but it cannot respond to comments and interact with your followers. Check your Instagram again after a couple of hours and keep up the engagement on your update by answering all comments. There is a trick to keep your posts alive for a longer time, get more engagement, start more conversations and get more followers. You can utilize Instagram stories to catch more attention. Part of this attention will pass on to your feed posts. 6. Where do the visitors to your blog come from? 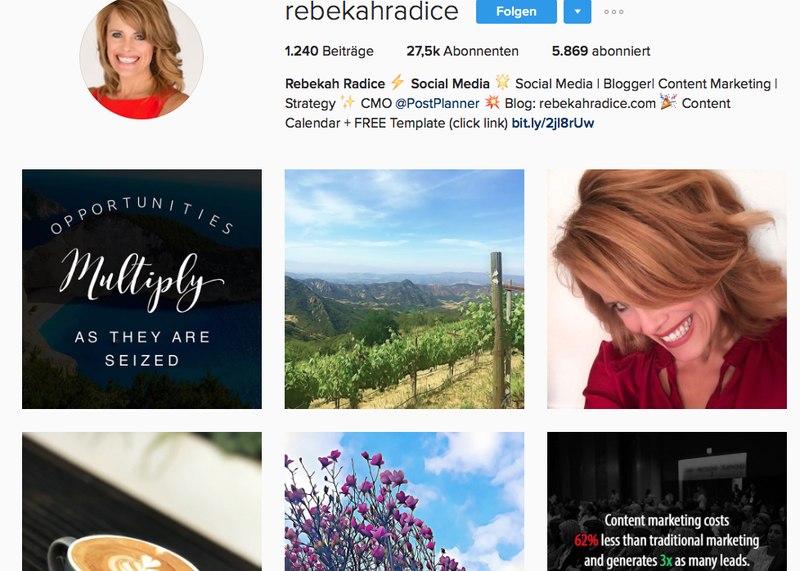 Since your bio is the only place on Instagram where you can put a clickable link, that is the first place you need to think about for sharing your blog posts. You can either simply link to your blog. When you share an image from a blog post simply state in the caption: „Click the link in the bio“ – that only makes sense if you only share new blog posts since older posts will most likely not show up on your blog landing page. Jeff Bullas simply pastes the link to the post into the caption of the image – you can get to the post by copy and paste. Some people also use shortlinks to share them in their Instagram image captions. Your followers will have to copy and paste the link to get to your blog posts. The advantage of shortlinks instead of full links at this point is: They are easier to copy since they are shorter, they are also more readable and last but not least: short links come with analytics. If you want to measure if someone used the link: visit the link shortener and see if the link was used. Do not simply post and wait for people to come. Make your posts visible in the right niche or topic via hashtags. And search for great images and conversations via hashtags – and join in. You can grow your following on Instagram by posting great images and commenting and liking other people’s images. Connect with people from your niche and be active on their images. They will remember you and eventually be curious about your work and blog. 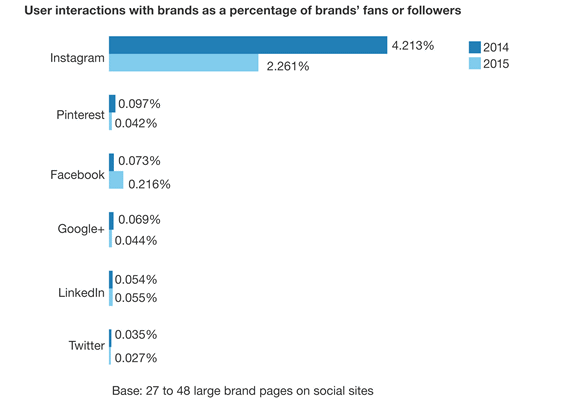 There are many Instagram influencers who started building their audience through engagement. Don’t expect people to engage on your posts if you do not engage on theirs! 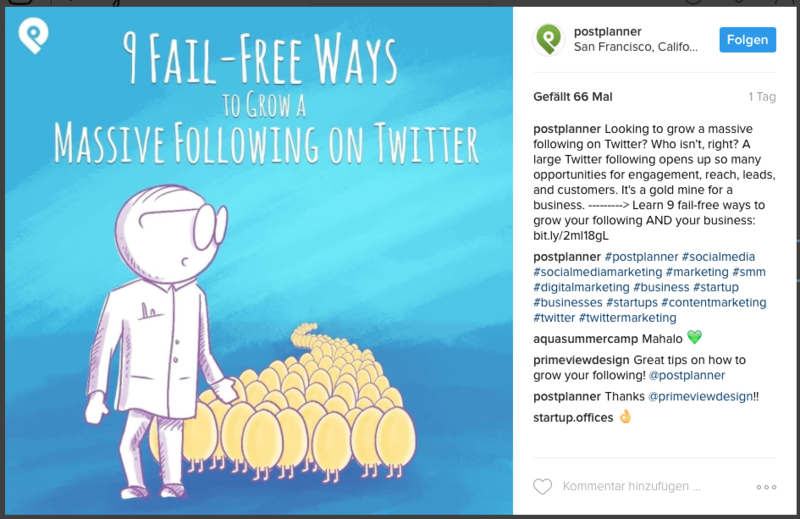 Hashtags have the power to make your posts visible, even if you do not (yet) have a million followers. Do your research: Instagram gives you important numbers for hashtags: how often are they used. Choose hashtags that are popular – but not too popular or your post will easily get lost. If you search for a hashtag on Instagram you will get some suggestions on related hashtags, some of which are more specific. You should get as specific with your hashtags as possible without losing all popularity of the hashtag. If a hashtag is too specific it is only searched for by very few people. Don’t be shy in using hashtags, you can use a lot of hashtags and you should do that. Each hashtag offers you an opportunity to get more people to your post. But only use hashtags that are related to your post. Don’t just go for the most obvious and highly frequented hashtags. Do some research for your most relevant topics. 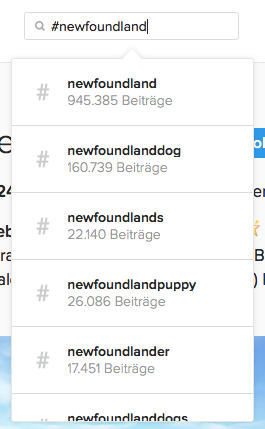 There is a lot of power in medium to small niche hashtags. On Instagram, it is not only blog traffic you should be looking for as a blogger. Promoting a blog can have many faces. Done right with branded images and building a targeted following the effect for your blog will often not be limited by the measurable traffic that comes via your profile link – or shared short links. Since Instagram is one of the most engaged and connected social networks, it is easy even for newbies to get into contact and conversations with strangers. You can promote your blog with simply being engaging, join into conversations and being consistent with what you post. And what is more: Using Instagram can be a lot of fun – right from the start.